Dated May 1870. Too many dormer-windows? 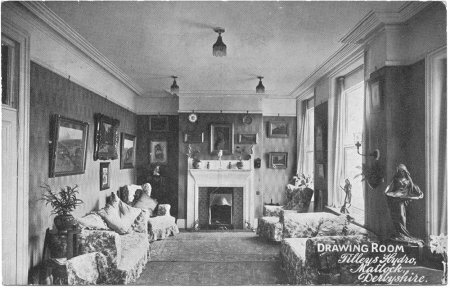 Drawing room, Tilley's Hydro. (Permission Alan Ankers). 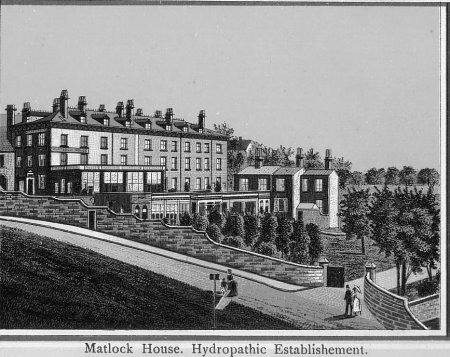 Matlock House Hydro. (Permission Alan Ankers). 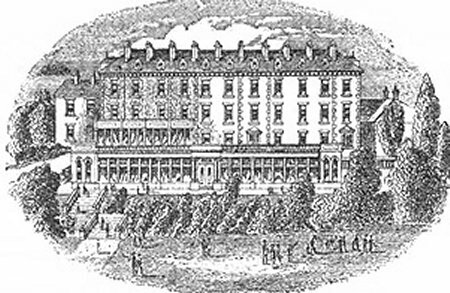 Matlock House Hydro, on the East side of Rutland Street (at the top of Bank Road), was opened in 1863 by Mr Lee of Manchester. 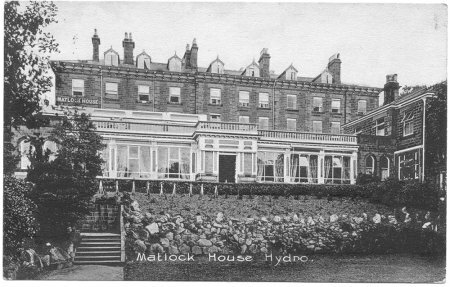 Originally known as Tilley's Hydro, it changed to Matlock House Hydro at some time. 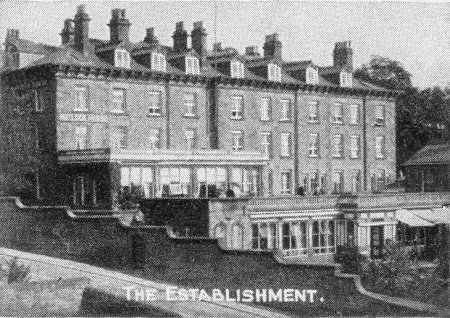 The Census entries for Matlock House can be viewed at: 1871, 1891 and 1901. 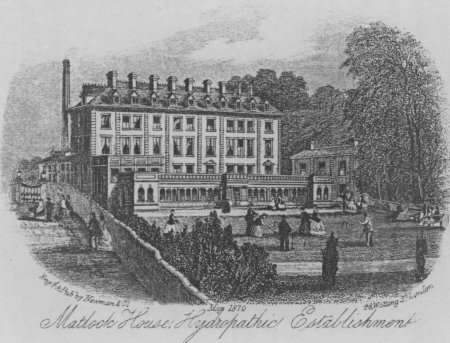 An advert dated 1888 reads: Matlock House Hydropathic Establishment & Residence for visitors. 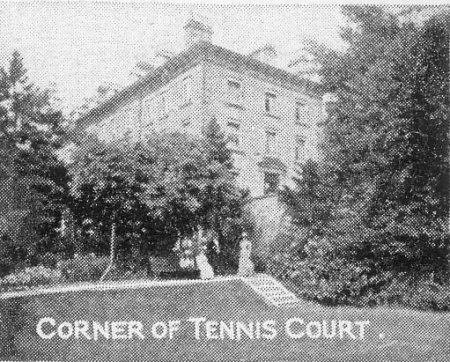 Musical and dramatic entertainments, smoking rooms, lawn tennis, billiards, 2 acres of gardens, Table d'Hote at 6pm. Terms from 35s to £2:5s inclusive. Physician. 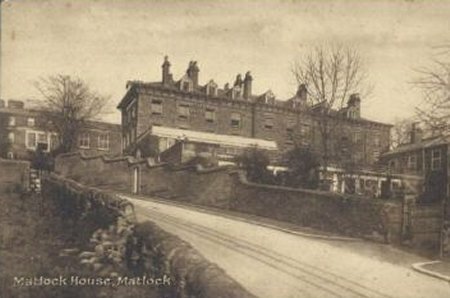 Please address in full, Mr JAMES, Matlock House, Matlock Bridge. 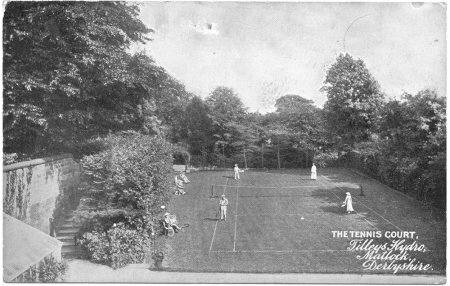 Tennis Court, Tilley's Hydro. (Permission Alan Ankers). 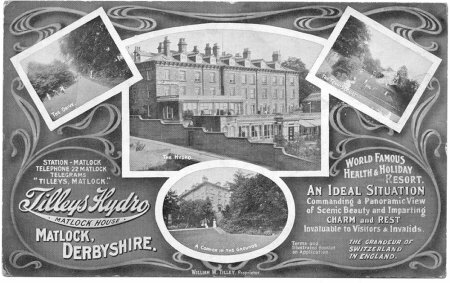 Tilley's Hydro, Matlock House. (Permission Alan Ankers).